The New Year entered my world on a cold day yesterday at a mere 15 degrees. before things got too picked over. What a madhouse it was. It takes me 3 minutes to get there. It was at the Yarn Shop! I was 4 grams short! This darling pin was a Christmas gift from Hubby a few years ago. He knows how to keep me happy too. Sounds like a good reason not to hang out in the jammies all day. And to have a yarn shop on the same street you live on! Heaven!!! Stocking up some yarn is a great way to start the new year! 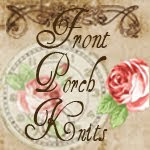 Wish you many great crochet and knit projects in 2013! It certainly is! And I can't wait to see what 2013 brings about in your creative world also, Olga! I love Berocco Vintage yarn! What a great way to start 2013. That pin is too cute! I love the pin too! Hope 2013 is starting off great for you Lynne! I like the way you think Ruby! And yes the pin is perfect for us fibre lovers indeed! Hope you are happily crafting away! I WOULD run in my jammies for a YARN SALE! Happy New Year to You Sweet Sarah! So close to a yarn shop! I'd just dig a tunnel between the two :-).The temp here was 34C today (93F). I think there is a groove in the road from my house to the YARN SHOP! And thanks for letting me know, maybe I should test out a new font. Will do! I changed the font and the colors. Thanks ~ I have a thing for making fingerless gloves :) And ~ YES ~ very fun & dangerous! There is no better reason to cast aside jammies than a yarn sale. It looks like you made off like a bandit. So Right My Friend ~ So Right! Working on turning that purchase into all kind of pretties.